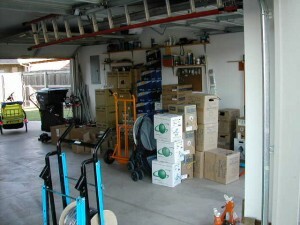 Wiring Solutions grew in the home garage of our founder in 1996. Modest beginnings taught one important concept; the needs of each customer are unique. This customized approach is still the foundation of Wiring Solutions, a business on the move. With a background in telecommunications and data networking, our company founder Matt ran the business strictly as a cabling company for many years. Concentrating on residential new construction, Matt and his wife Jennifer personally wired hundreds of homes with cable, phone, and network services while running the newly founded business out of that stuffed little garage. For years a modest business was forming. Growth was slow yet steady, and as to be expected with any new business finances were tight and work days were long. Continuing our growth, Wiring Solutions purchased Oklahoma Based RTI (Real-Time Imaging) in January 2005. The acquisition of RTI, which installed and serviced digital recording and surveillance systems primarily in Indian Gaming Centers,added to our already considerable CCTV operations throughout Oklahoma, Kansas, Arizona, Texas and New Mexico. Wiring Solutions’ purchase of Oklahoma Based GRB Security (Operating as Multitech Security), which had been in business over 25 years, in June of 2006 bolstered our position as the largest integrator in Oklahoma servicing Residential Home Builder accounts. Now almost 120 Home Builders strong, we were able to offer volume pricing and superior service based on our large market presence and buying power. 2007 saw our purchase of Trinity Fire and Security based in Norman Oklahoma. With this acquisition we bolstered our position in the commercial fire realm. While we were active in this market prior to this, the skill set we acquired in the form of the employees was invaluable. With this acquisition, as with every other, we hired all of the employees and brought them into the Wiring Solutions Family! 2007 was also the start of our Electrical Division. A need was recognized in our industry for a company that would encompass all aspects of infrastructure wiring. The right electricians were identified and offered positions to start the division which has become one of the larger aspects of the company. Shortly after the residential electrical division was started a commercial division began to serve the needs of our commercial customers in both the “bid-to-Spec” as well as the “Design/Build” markets. In 2007 we purchased our first building after leasing space for many years. 8,000 square feet of office and warehouse seemed more space than we would ever need. Continuing rapid growth proved that assumption incorrect quickly, as we were cramped for space in under a year and began the search for a larger facility yet again. 2008 and 2009 saw an overnight drop in our residential construction market due to the financial collapse of the housing market. With over 80% of our home builders disappearing it was a perfect time to retool and shift our focus to higher-end work and begin focusing our efforts in the arenas of Commercial and Governmental. 2015 and 2016 began our growth into other cities and states – cementing our position as a regional provider. We have full-time employees and branch offices in numerous large Oklahoma cities, as well as Arkansas, Missouri, and Texas. We also support existing customers in Kansas, Colorado, and New Mexico, all from our corporate offices in Oklahoma City. Over 20 years since that humble garage, the company continues to be a leading provider of all types of infrastructure; providing Electrical, Security, Video Surveillance, and Cabling services to the commercial, residential and governmental market. With a full-time staff averaging over 125, over 45 trucks on the road regionally, and our fantastic 1.6 million dollar, 14,000 square feet of company-owned operating space in South Oklahoma City, we still operate with your individual needs in mind. With the growth of the DIY (Do It Yourself) market in home security we have refocused our efforts away from residential security as the market continues to innovate. While DIY security is not reliable and prone to issues (as of 2018 – however we acknowledge the offerings will improve) the market appeals to individuals not concerned with what many in the industry have referred to as “real security”.